The illustrations are gorgeous and remind me of David Downton's work but I'm not sure who does these? I am lucky in that I have quite voluminous hair anyway but I have been using this when my hair feels a bit lacklustre and in need of some old-school glamour. 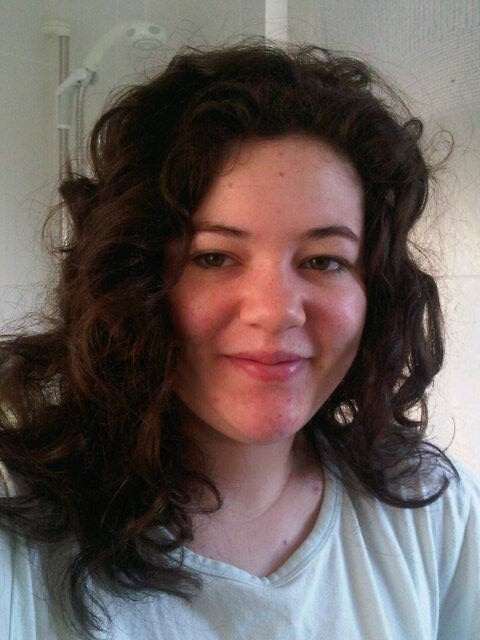 Just to compare, this is what my hair looks like when washed with my usual Aussie shampoo/conditioner combo .. VERY early morning face, apologies! Do you need extra volume in your hair? Have you tried Umberto Giannini products before? Great post ! I sure need more volume in my hair and I am always looking for new products. I have been using John Frieda for a long time but lately I changed cause it seems after a while my hair gets used to a product and I need to change to have the same effect ! LOL ! I used to use Umberto Gianni. Looks like I definitely need to get back into them. I loved their hair products! The volume on your hair looks fantastic.